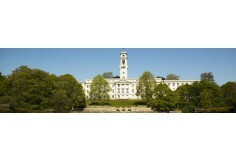 An agent from University of Nottingham, will contact you shortly with more information. The transformation of novel science into successful business ventures (the development of new products and processes) is key to the long term profitability of the world's chemical and related industries. This goal requires scientists who possess a critical combination of technical and business skills. Increasingly, such individuals are playing a pivotal role in today's knowledge-driven economy by enhancing existing businesses and by setting up new ventures themselves. Could you be one of these special people? 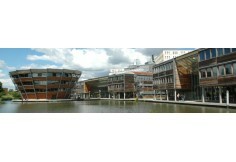 The MSc in Chemistry and Entrepreneurship is an innovative course offered by the School of Chemistry in conjunction with the Nottingham University Business School. The course aims to provide you with an appreciation of the interrelationships between fundamental research and its commercial exploitation. You will be able to take advantage of the course’s flexible structure to develop an understanding of specific areas of modern chemistry and to become fluent in the financial, marketing and managerial aspects of modern business. You will also acquire the technological and business background to enable you to make a significant contribution to today’s chemistry-based, technology-driven economy. -This course presents an exciting opportunity for you to learn about the latest developments in chemical science and to gain business skills and training at the same time. 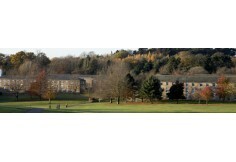 -It is taught in collaboration between the School of Chemistry and Nottingham University Business School. A key feature of this course is its flexible structure, which allows you to choose from a wide range of modules that cover, not only recent advances in the chemical sciences, but also key aspects of business and entrepreneurial best practice. During June, July and August you will undertake a 60-credit Chemistry Technology Transfer Project. Typically, the project will be concerned with an examination of the commercial potential of a recent research development in Chemistry and will be jointly supervised by a member of staff in Chemistry and one in the Business School. Usually, these projects are conducted by 2 or 3 students working as a team. This is a valuable educational exercise and good preparation for a future career in a commercial organisation. The MSc in Chemistry and Entrepreneurship is offered on a full-time basis over one year. The course content is highly flexible – as well as taking 70 credits’ worth of core, compulsory modules, you will be able to choose from a number of optional, approved modules to best reflect your personal interests and career aspirations (these optional modules are worth 50 credits). Also, probably as a member of a team of 2 or 3 students, you will be required to complete Chemistry Technology transfer project worth 60 credits over the summer months, towards the end of the course. The course is taught jointly by the School of Chemistry and the Nottingham University Business School and comprises taught modules, dissertations, presentations and experiential learning components. Assessment is achieved by a combination of written examinations, coursework, a project report and oral presentations.